Sub-saharan Africa came bottom of the class in a recent survey of trading links to the rest of the world. But that’s also good news, because efforts to tear down impediments to trade would likely lead to faster economic growth. In the third edition of its Global Connectedness Index, logistics companyDeutsche Post DHL found that sub-Saharan Africa is the least integrated region in the world economy. South Asia—a region that includes Bangladesh, Pakistan, India and Sri Lanka— is the second-least integrated region and could also benefit considerably from reducing impediments to intra-regional trade, the report says. The index is based on a study of trade, information, people and capital flows between 140 countries representing some 99% of global GDP. Pankaj Ghemawat, global professor of management and strategy at the New York University Stern School of Business and a co-author of the survey, says that improving connectivity between sub- Saharan African nations—enabling more efficient movement of people, goods and information across borders—would make a vast difference to the continent’s economic prospects. 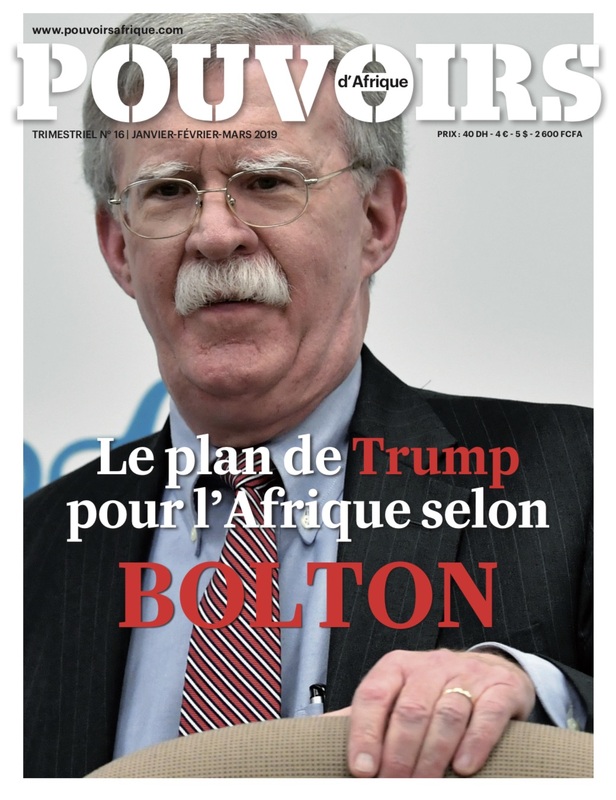 “Internal integration within Africa for countries that in many instances are too small to really do everything on their own … seems to offer at least as much potential for gains as inter-regional integration of the sort that most people are talking about,” Ghemawat says. 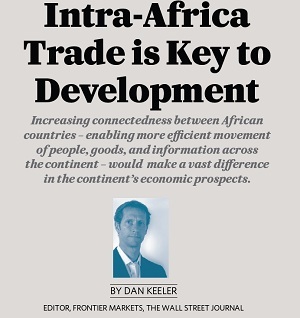 Although Africa and South Asia are still lagging in terms of connectedness, the study demonstrated that trade flows between emerging and frontier markets worldwide have been increasing consistently. Reflecting a “substantial shift of economic activity to emerging economies that is pushing the world’s economic center of gravity eastward, emerging countries are now involved in the majority of international interactions,” the report says. Before 2010, it adds, most international flows were between advanced economies. Ghemawat believes the shift is indicative of a fundamental change in the balance of the global economy. “If there is going to be growth, it’s going to be driven by the emerging markets,” he says. In a development that mirrors the changes in GDP levels worldwide, many of the countries experiencing the most rapid growth in connectedness tend to be smaller emerging markets. “If you look at countries that had the biggest connectedness increases between 2011 and 2013, all of them were poorer economies,” Ghemawat comments. “The sense of people getting left behind isn’t borne out by the aggregate data.” According to the report, nine of the 10 countries where global connectedness increased the most— in absolute terms—from 2011 to 2013 are frontier economies, with Burundi, Mozambique and Jamaica experiencing the largest gains. All of the 10 countries that experienced the greatest rise in their ranking on the Global Connectedness Index are frontier markets, including Latvia, Georgia and Kuwait. Ghemawat singles out Vietnam as a country that is making remarkable progress: “Despite some of the recent problems, there has been an amazing transformation of that country already in terms of the growth of per-capita incomes … truly a stunning transformation. Vietnam is clearly on some sort of escalator toward rising prosperity.” Vietnam’s success is founded on its increasing openness to trade, Ghemawat believes: “It was really opening up to the world that has fueled Vietnam’s rise from a country that literally was one of the poorest into the world to one that has a per-capita income level of at least a couple of thousand dollars.” The implications for companies and investors of the changes in global connectivity are significant but, the report asserts, companies in the developed markets are failing to capitalize on the opportunities emerging markets present. Multinationals from emerging economies are growing their businesses some 10 percentage points per year faster than their advanced economy peers, both in their domestic markets and abroad. At the same time, developed-market multinationals are still deriving a disproportionately small amount of their revenues from the emerging world. A sample of 100 of the world’s largest companies based in the developed markets, for example, derive less than a fifth of their revenues from emerging economies, despite the fact that those countries account for 36% of global GDP and are expected to contribute some 70% of global growth over the coming decade.